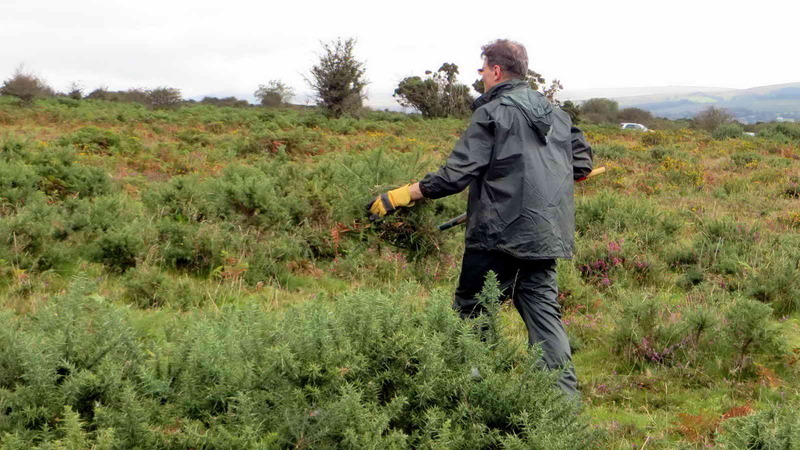 The DPA Conservation Team gathered again near Clearbrook, on Roborough Common, on Friday 17th September 2015 under a somewhat leaden sky – the weather showed us both sunshine and a light shower during the day. By the “close of play”, we had reached the road – Roborough Down Lane, which is a milestone along the route of the leat. The bridge on Roborough Down Lane. The photograph above shows the bridge where we gathered and where work started. The bridge is known to some as “Dead Man’s Bridge” after at a dismembered, burnt body was found under it in 2001: BBC News – Link 1, BBC News – Link 2, BBC News – Link 3, BBC News – Link 4, BBC News – Link 5. Looking towards Plymouth from near the bridge. 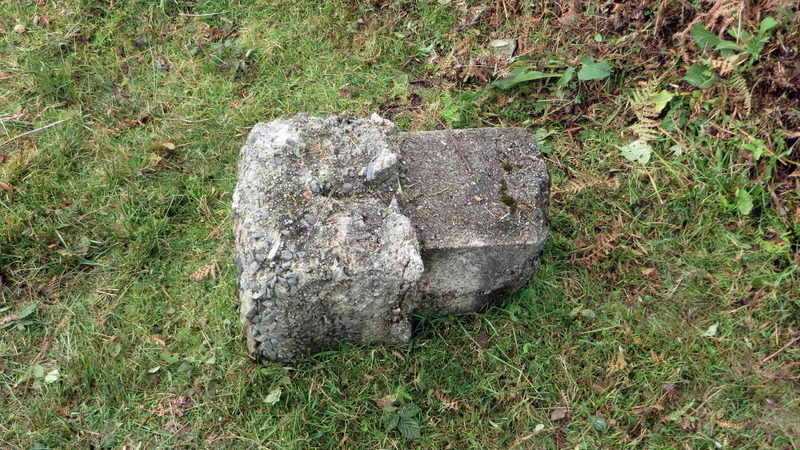 Two concrete artefacts are lying in the leat that were possibly the bases of runway lights of the decoy airfield from WWII that was built to guide enemy planes from RAF RAF Harrowbeer, at Yelverton. There is a map of the decoy airfield here – it shows the locations of the lights. 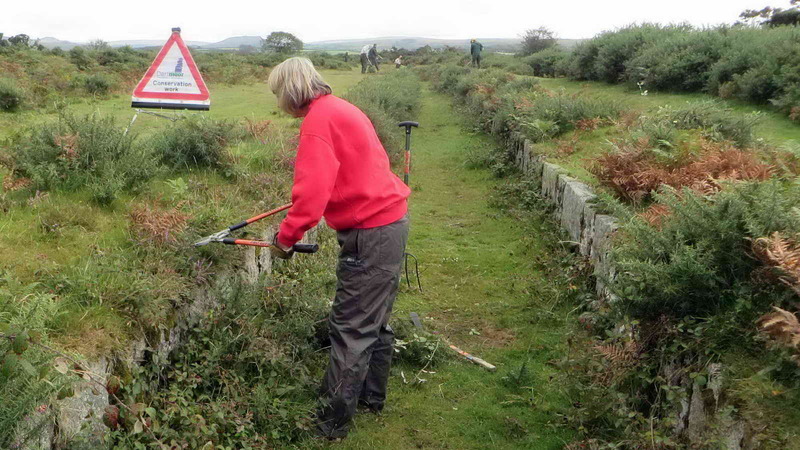 The as-always gallant volunteers today were Bill Radcliffe, Chris Francis, David Auty, Derek Collins, Hilary Luce, John Watson, Keith Ryan, Rachel Watson, Stephen Barrow, Val Barns plus visitors Bob and Ben, making a total of 12. 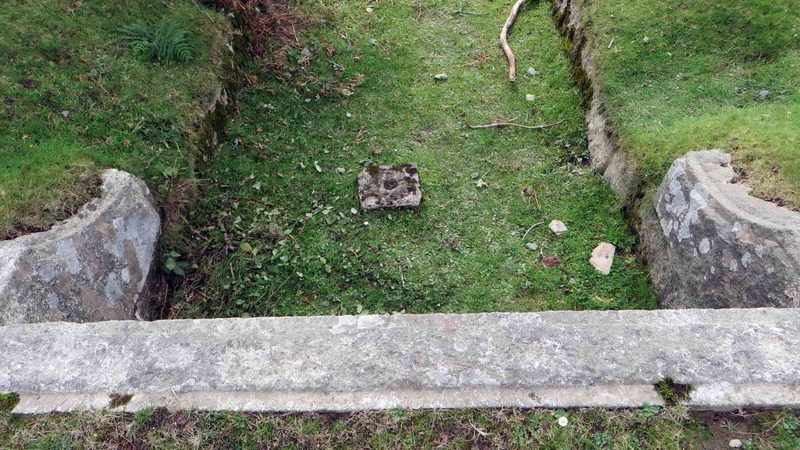 Concrete base in situ in the leat, looking down from the road bridge. A third concrete base (presumed) is still in place in the leat. 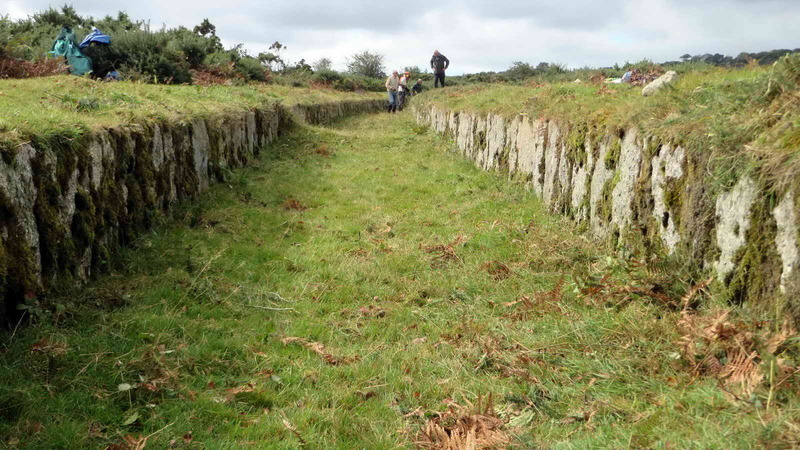 This is a little unexpected because the leat was apparently prepared for possible use in WWII in case Burrator Dam were to be damaged or destroyed. The “banyan” tree under which we had lunch. “Under the banyan tree” great stories were told, and an errant zip was eventually tamed! Low-angle view along the leat after this section was cleared. 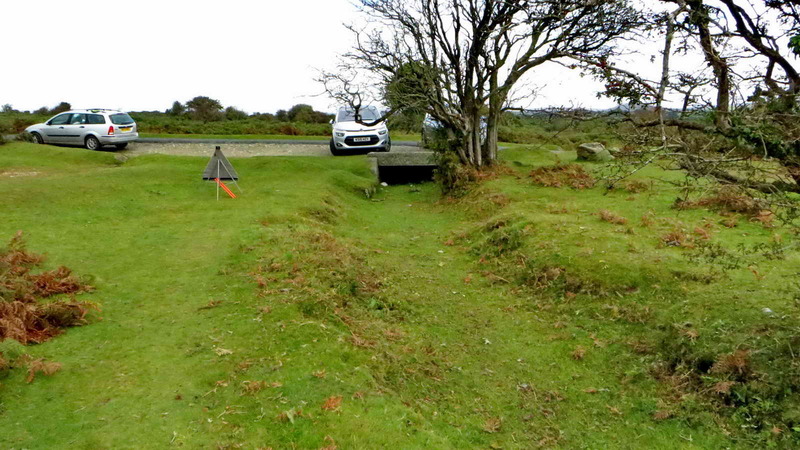 After several years of occasional research, walking the leats, writing web pages about the leats supplying water to Plymouth, and helping with a television programme about them, I finally found out today when this leat was lined with granite flagstones! It was built, under the leadership of Sir Francis Drake, in 1591, in the reign of Elizabeth I, when it was nothing more than an earth ditch. 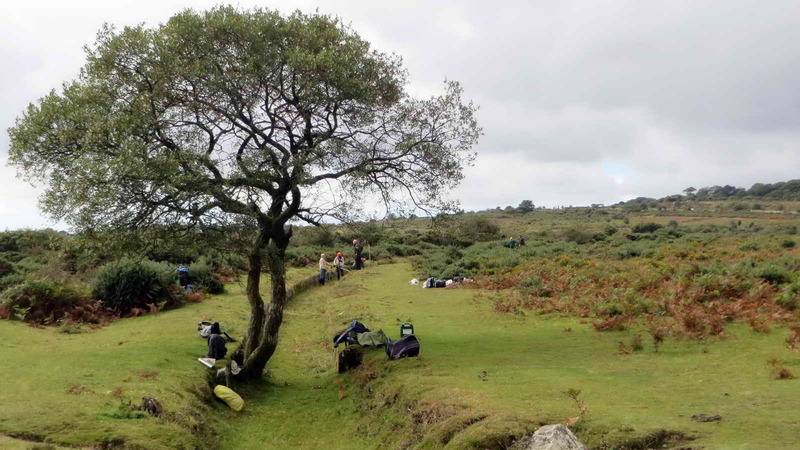 It was lined in 1871 (source: Eric Hemery, High Dartmoor, page 113). 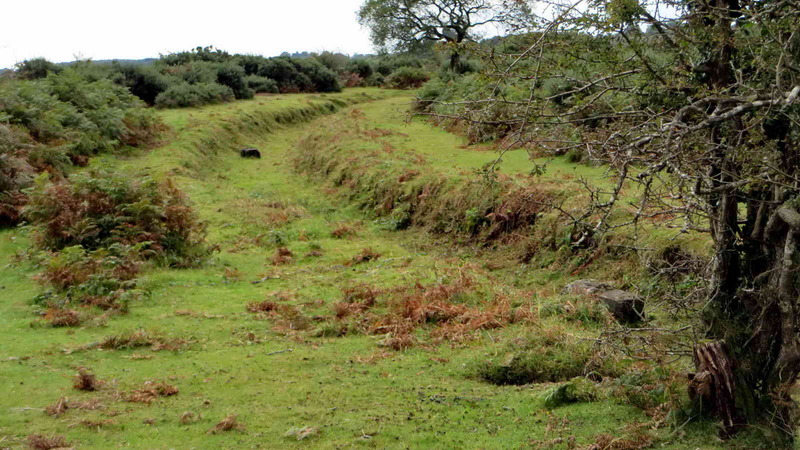 The nearby Devonport Leat was completed in 1801, in the reign of George III. Sometimes it is hard writing a blog, and sometimes it writes itself! 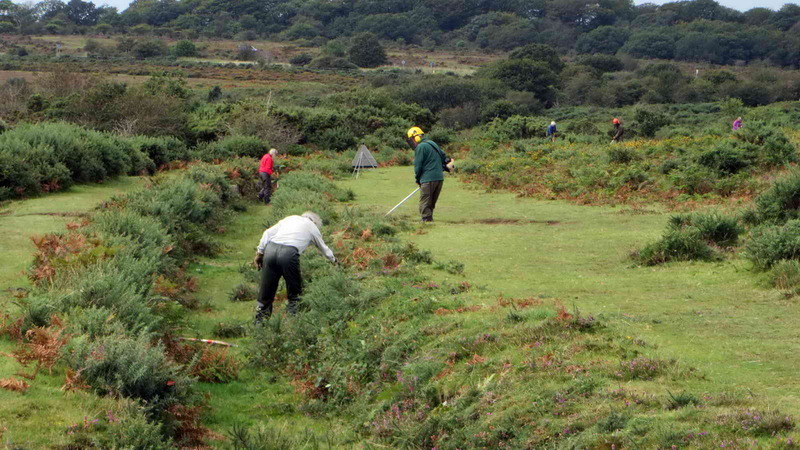 General view – working back towards where we finished on the last visit. 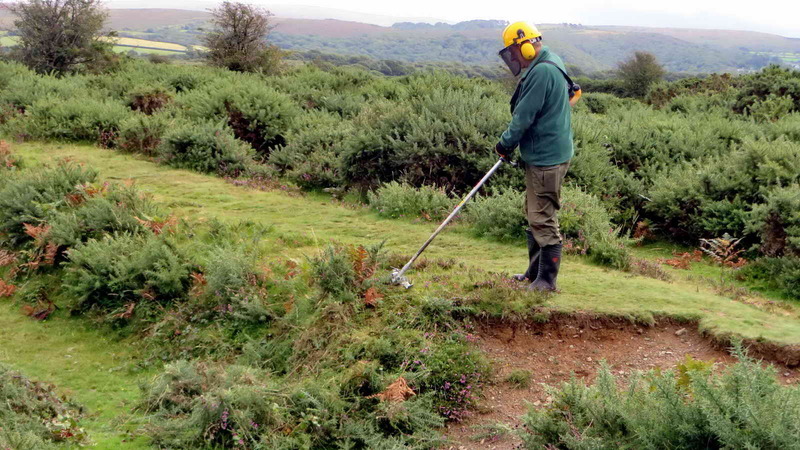 Making the cuttings disappear into the landscape. A brush-cutter with a hedge-cutter attachment. 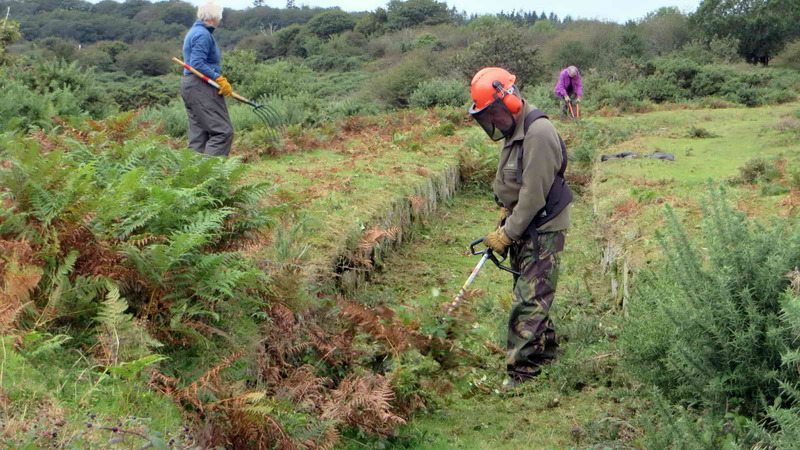 Loppers take care of what the machines leave uncut. 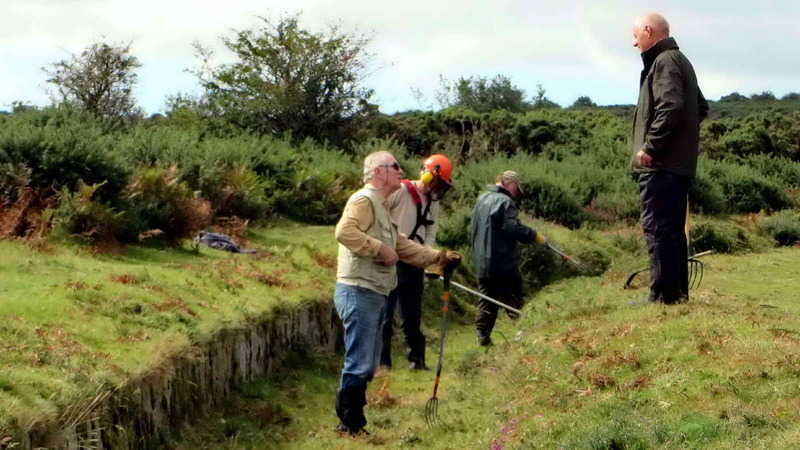 A section of leat that is not yet cleared. 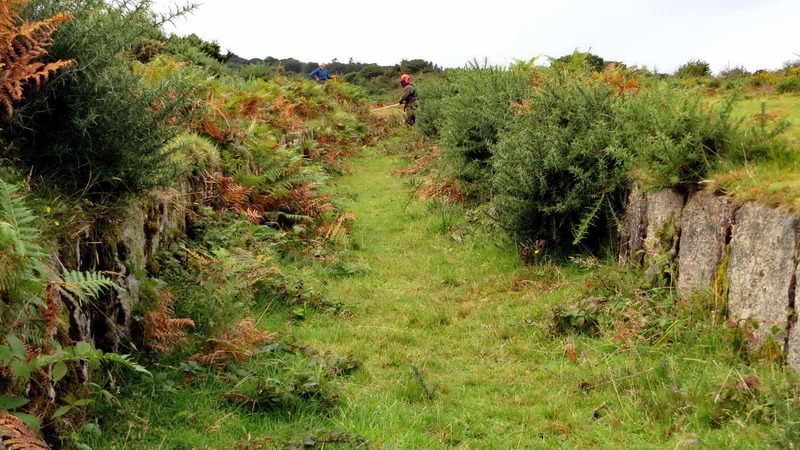 The photograph above shows the extent of the regrowth of gorse, bramble and bracken since our previous time on this section. The last time we were here was 28th June 2012, although that was from the opposite direction. I don’t seem to have a record when we approached in this same direction previously. 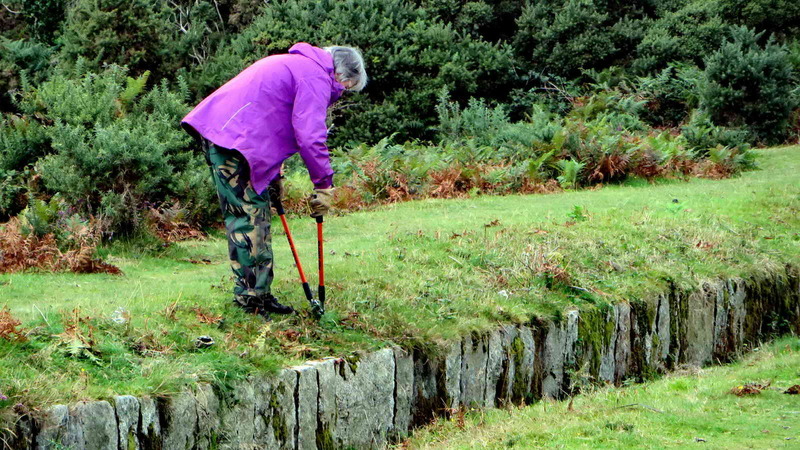 Loppers take care of some of the tricky bits. Last photograph before tidying up. 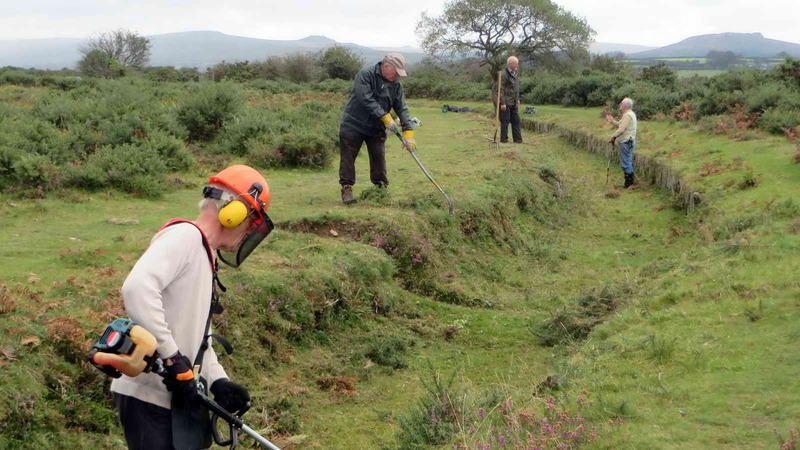 We have had four working days on this section of leat, doing 551, 500, 325 and 331 metres – making a total of 1.71 km. In Imperial units: 602, 546, 355 and 362 yards, making a total of 1.06 miles. These are all visible on the project Google Satellite map HERE. Well done to all concerned.